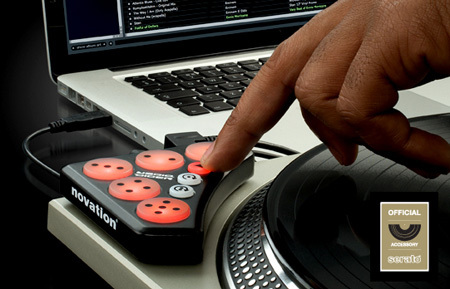 Plug Dicer in, slot it on your turntable/CDJ, and you can instantly set cue points and use them to trigger ‘Hot Cues’. Or, flip Dicer into ‘Auto-Loop’ or ‘Loop Roll’ modes, to trigger loops, or ‘roll’ sections of the track to create climaxes, drops and glitchy breaks. Each ‘mode’ illuminates Dicer’s pads a different colour, so you can instantly see what mode the pads in, even in dark clubs and venues. Dicer’s buttons can also ‘learn’ other software functions. So, you can assign different FX to the pads, or trigger samples over the top of your mix, or even browse tracks in your iTunes library! Creative but effective way of shooting vids on a camera phone.Nice!